The extremely hot weather during the summer months make being outside uncomfortable. 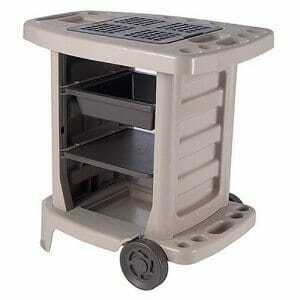 A solution is to think about buying an outdoor misting fan. 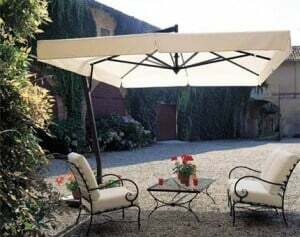 These cool down the atmosphere in your yard, thus providing you with a much cooler environment. Really, in order to cool down your yard all you need to do is spray a misty film through the air. You will be amazed at how quickly the temperature drops. If you want to save $$$ on your landscaping project check this out. Quality: Just like acquiring any merchandise, excellent quality is imperative. Numerous models of misting fans are available, so getting the best quality unit should not be an issue as long as you know what to look.Do proper research before buying, the internet offers plenty of information. A quality fan will definitely be more durable and save you the trouble of constant repairs and part replacement. Size and Effectiveness: In addition to quality, think about the size of the fan. Your selection will depending on the size the exterior area you want to cover. Again, there is a large variety of sizes to choose from, so if you are having difficulties picking, then speak to your dealer. These units are powered by electricity, so make sure to ask about its power requirements before buying. As well, you should think about how much noise the fan will make, mist distribution per certain amount of water, the style and how easy it is to operate. Hours of Use: If you are thinking about getting a portable fan, then be sure that it can operate for several hours without having any over-heating issues. They generally have a tank that can hold over 35 liters which means they are capable of operating for many hours without needing more water. An excellent fan should include a wheel lock for safety and stability. When it comes to safety, the fan should also include a built-in circuit breaker that will turn off the unit during power surges. Cost: Last, think about the unit’s cost before buying it. When looking around for the best value, make sure not to make the error of settling on quality. 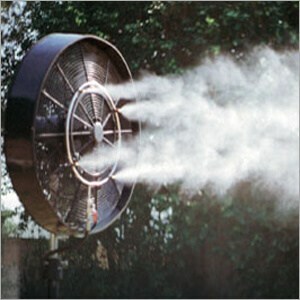 Nowadays, you can get misting fans and their accessories on the internet at competitive costs. All you have to do is know your requirements, compare models and costs and put in your order. A misting fan can be wonderful for cooling off your exterior air temperatures throughout the hot summer season. You can use this unit to cool off from the scorching summer sun by cooling your yard or deck from 20 to 30 degrees Fahrenheit. Nonetheless, just like any other purchase there are things to think about before you buy. By keeping these four essentials in mind, you will be able to buy the perfect fan that will keep you cool all summer long. For more of the latest landscaping ideas check out this eBook.